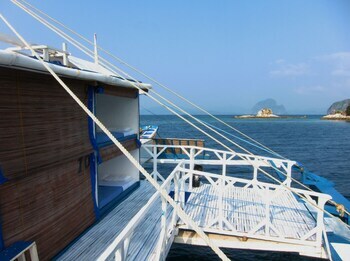 Enjoy a one-of-a-kind Palawan getaway with a unique accommodation experience that only Palawan Secret Cruise Floating Hotel offers. 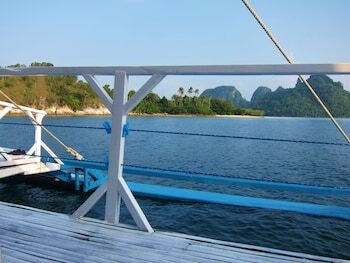 Stationed at El Nido's Bacuit Bay, Palawan Secret Cruise Floating Hotel is a boat hotel that takes tourists on a trip around the island while providing them with accommodations to keep them comfortable. 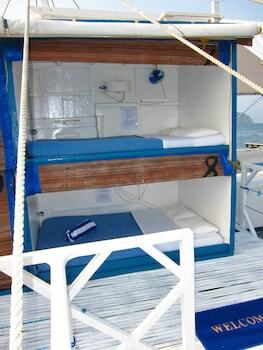 Featuring free WiFi internet access, the open cabins feature blinds for privacy, and provided with comfortable double mattresses, linen, towels, as well as free bottled water. 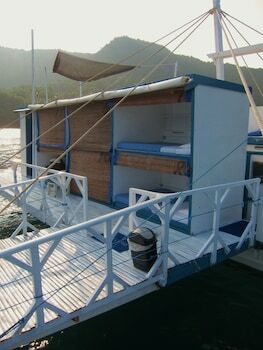 Toilets and baths at Palawan Secret Cruise Floating Hotel are shared and come complete with hot and cold showers and toiletries. 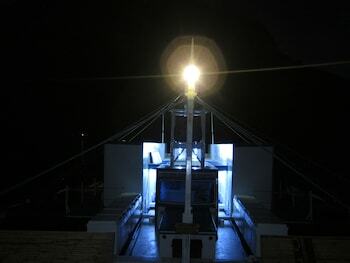 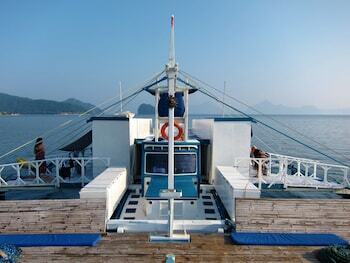 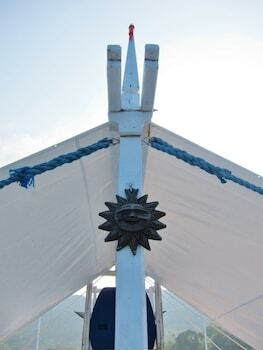 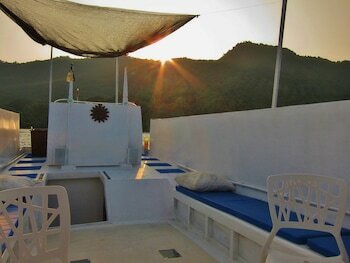 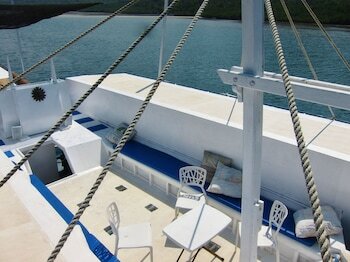 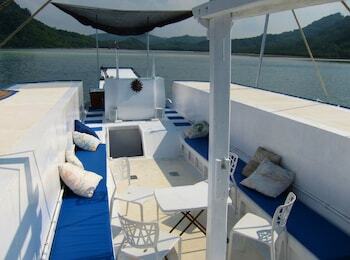 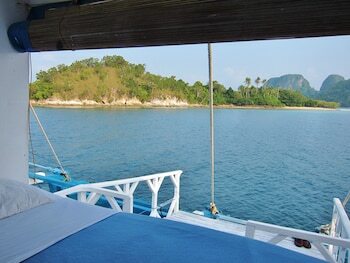 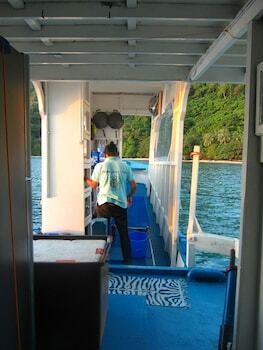 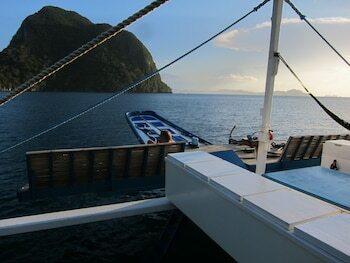 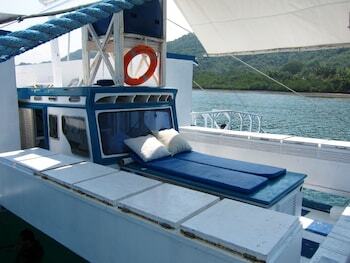 While on board the Palawan Secret Cruise Floating Hotel, take advantage of its wide range of onsite facilities. 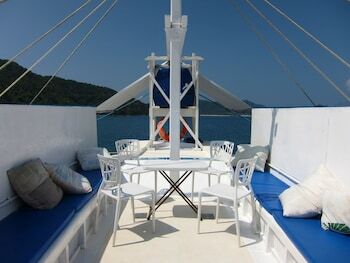 Feel relaxed and laidback at the hotel's terrace and lounge areas. 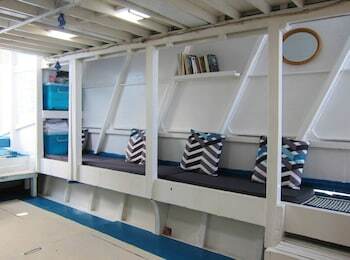 You can even settle with a good book in the onsite library, enjoy board games, and play beach volleyball and tennis with your buddies. 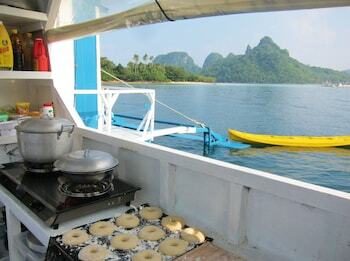 Savor local and international cuisine prepared no less by a professional chef at the in-house restaurant. 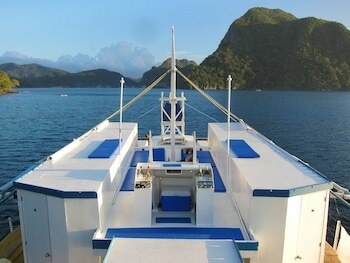 The hotel's bar is fully stocked with refreshing juices, sodas, and alcoholic beverages. 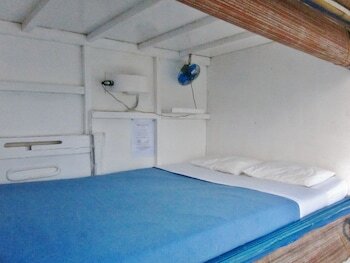 You can also avail of in-house services which include massages and babysitting. 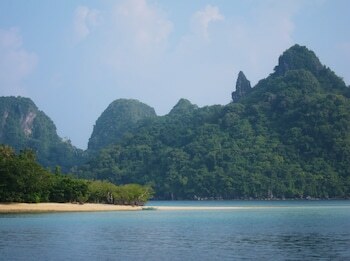 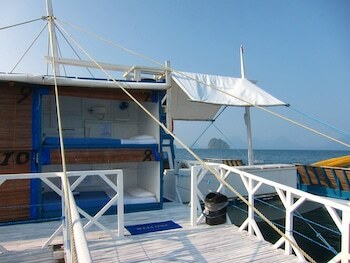 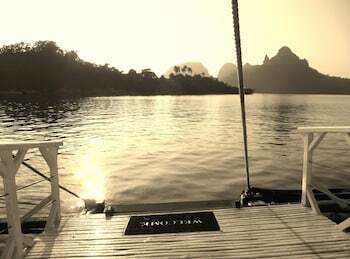 Palawan Secret Cruise Floating Hotel lets you explore the wonders of El Nido in a unique way. 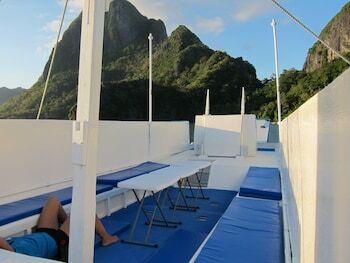 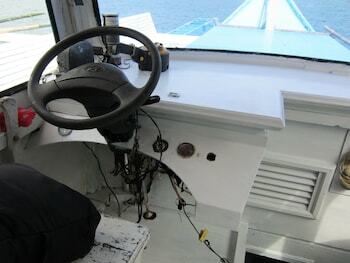 While taking you on a cruise, the boat-hotel also offers snorkeling, fishing, and scuba diving activities in the island's lagoons and even wakeboarding on magnificent beaches. 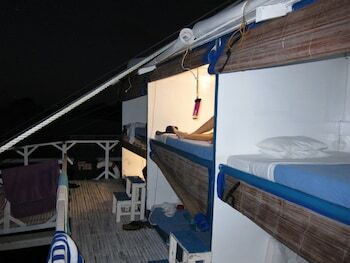 Aside from this, you can also have dinner on the beach while marveling at an amazing fireworks display, creating a lively atmosphere for friends and a romantic mood for lovers. 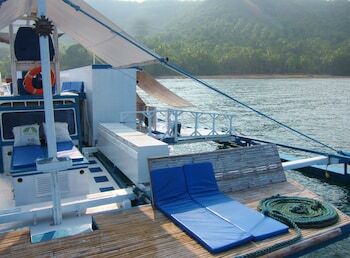 When you stay at Palawan Secret Cruise Floating Hotel in El Nido, you'll be on the beach and minutes from Parish of St Francis of Assisi and El Nido Main Beach. 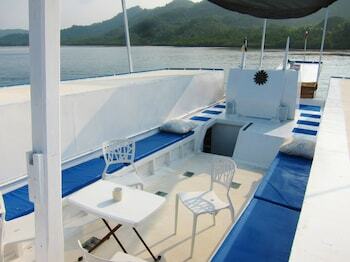 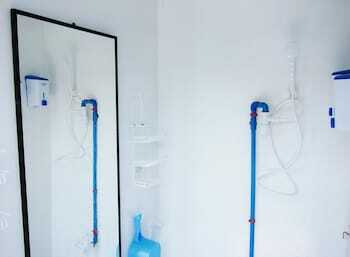 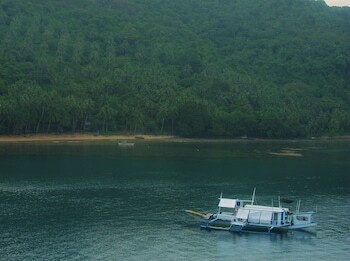 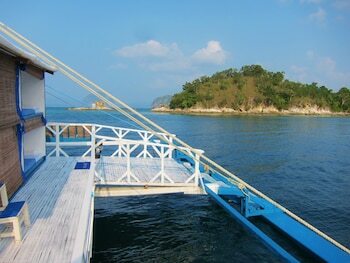 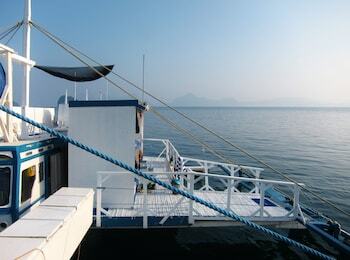 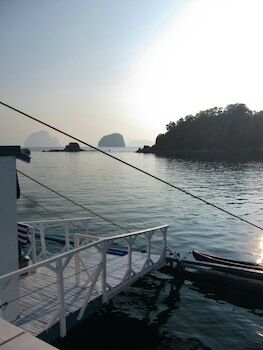 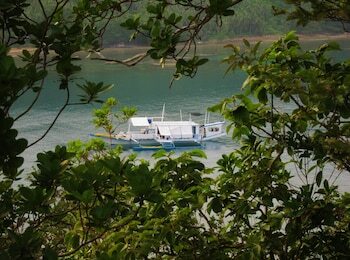 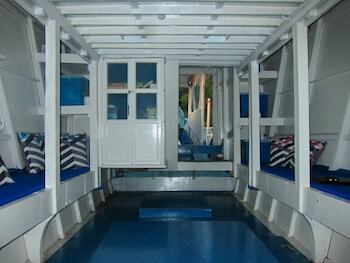 This beach houseboat is within close proximity of El Nido Municipal Hall and El Nido Dock.